Before your next trip to the commissary on Travis Air Force Base near Fairfield, California, check out MyMilitarySavings.com to make sure you’re getting the best discounts for your purchases. We’re familiar with the difficulties that military shoppers and their families sometimes face when trying to fit in time to search for coupons and other deals. That’s why we’ve gathered together savings from a wide variety of sources into a single site that’s easy to navigate. We even include helpful links to the Defense Commissary Agency (DeCA) website, where you can load coupons directly onto your Rewards Card for hassle-free savings. Plus, with our My Shopping List tool, you can select items directly from our site and save them to a digital shopping list, which you can then either print out or take with you on your smartphone to the commissary. 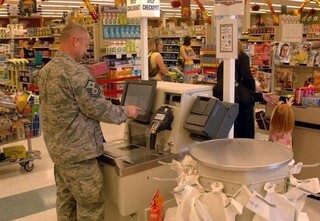 For more information about the savings opportunities we offer for shopping at the Travis AFB commissary, enroll for your free MyMilitarySavings.com account today.